Adverse drug events (ADEs) are Canada’s 4th leading cause of death and account for up to 22000 deaths per year in Canada. (1) The number of non-fatal adverse events is much higher. We encounter ADEs almost every day when we’re on shift in the emergency department, although in many cases it goes unrecognized and we attribute a group of symptoms to a wholly unrelated diagnosis. More detail on the study and the podcast itself is available on The SGEM blog and iTunes. 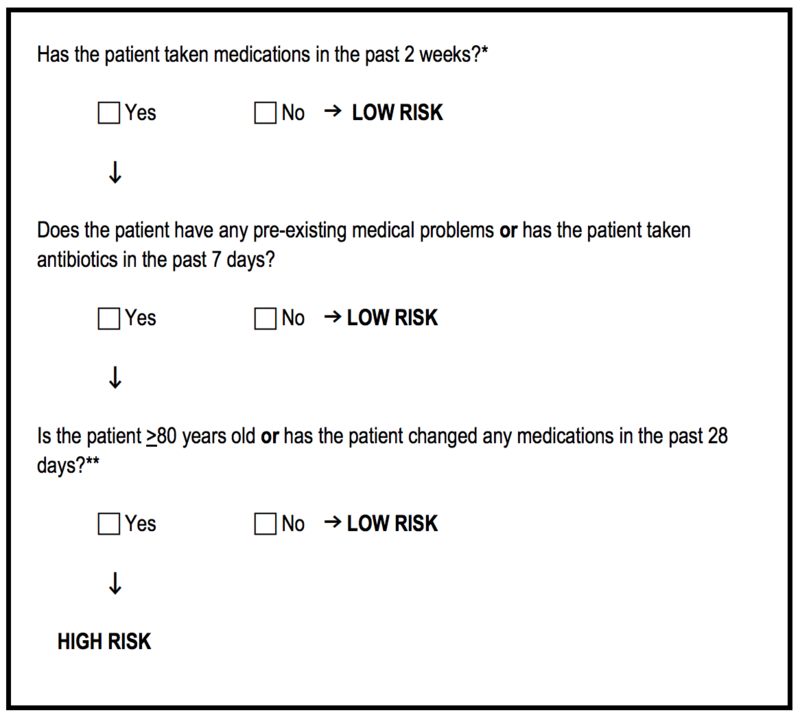 Briefly, this was a validation study of two clinical decision rules used by clinical pharmacists to identify patients with ADEs in the emergency department. Now obviously most of us don’t have the luxury of clinical pharmacists working in our EDs. 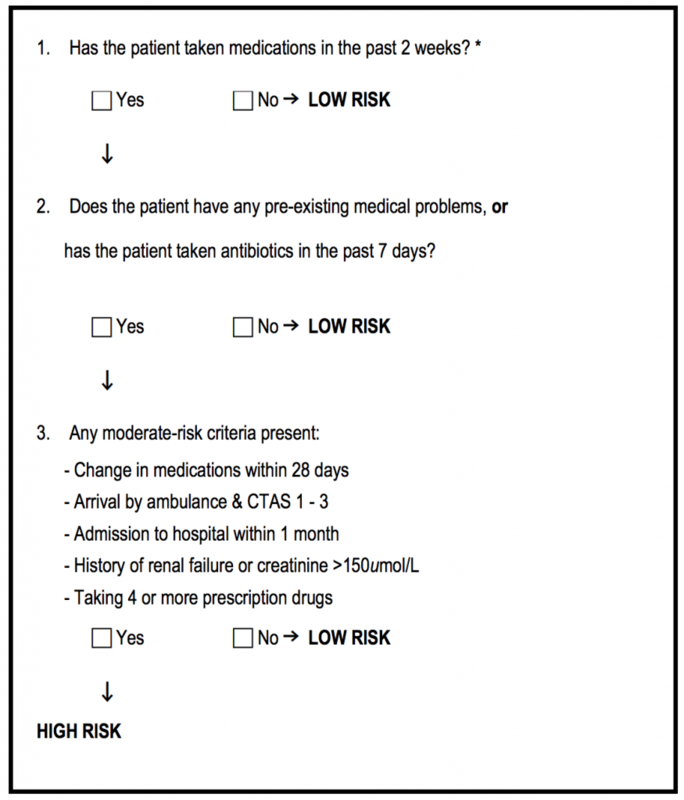 However, as physicians, we should keep the questions in these rules in the back of our minds. Both rules were highly sensitive (91% and 96%, respectively), although the first rule was much easier to use. Specificities were 38% for Rule 1 and 23% for Rule 2. Using the three simple questions from Rule 1, you’re suspicion for ADEs and pickup rate may improve. Discussing this paper with the lead author revealed some very interesting findings, the most important of which was that the implementation study was actually done before the validation study of these CDRs. The reason for this is in the Talk Nerdy section of the podcast and reveals some of the realities of doing grant-funded research in the real world. I highly suggest you check out the podcast and leave comments or questions for myself, Ken or the lead author. You can also check out another great #FOAMed resource in Justin Morgenstern’s post over at First10EM.